You’ll agree that today’s job market is highly competitive and that your CV is a vital marketing tool in standing out from your rivals. So, what does it take to make sure your CV gets shortlisted instead of rejected? 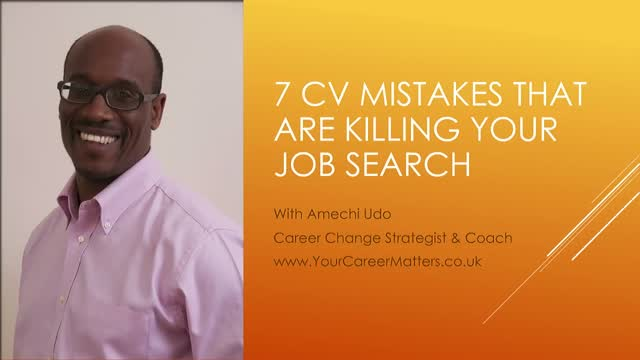 During this webinar I will share with you 7 CV Mistakes that are, unintentionally, killing your job search and, more importantly, what you can do to avoid or correct them. Ready to act? Join this webinar live.